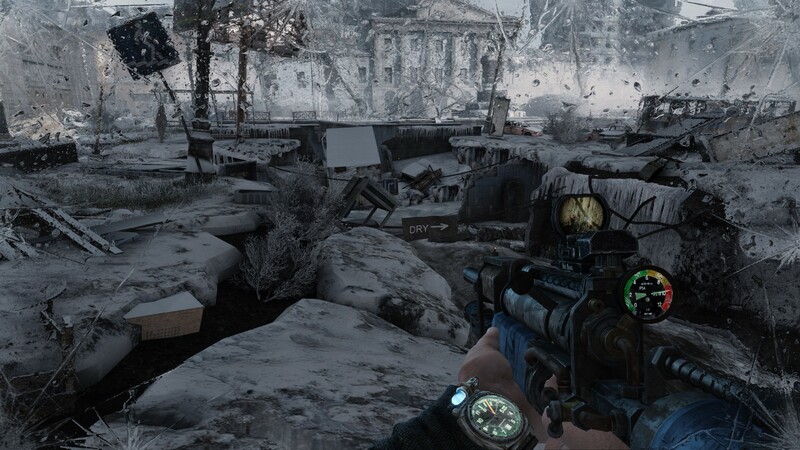 With Metro: Exodus shimmering on the horizon like the corona of a nuclear explosion, now seems like the perfect time to return to where the end began. I’ve been a fan of the Metro series more or less since the first game launched a terrifying nine years ago. Yet while I’ve both the original version of 2033 and Last Light, I’ve never played the Redux version of Metro 2033, which takes the first game and rebuilds it in the more powerful Last Light engine. The reason for this was mainly, 'What’s the point?'. I’ve no issue with remastering or remaking games, but Redux launched just four years after the original Metro, and that didn’t seem like enough time to make remastering a game a worthwhile prospect. Or more specifically, it didn’t seem like enough time to make buying the remaster for the circa £30 Deep Silver was asking for it at the time a worthwhile prospect. Since I was planning on returning to 2033 anyway as a primer for the launch of Exodus, however, I figured I might as well play the slightly more updated version. And I’m glad I did, because good grief Redux is a whole lot more than just a visual overhaul. It changes just about everything in the game. It alters levels, adds new sections to the Metro, and makes some pretty fundamental alterations to how the game’s systems work too. 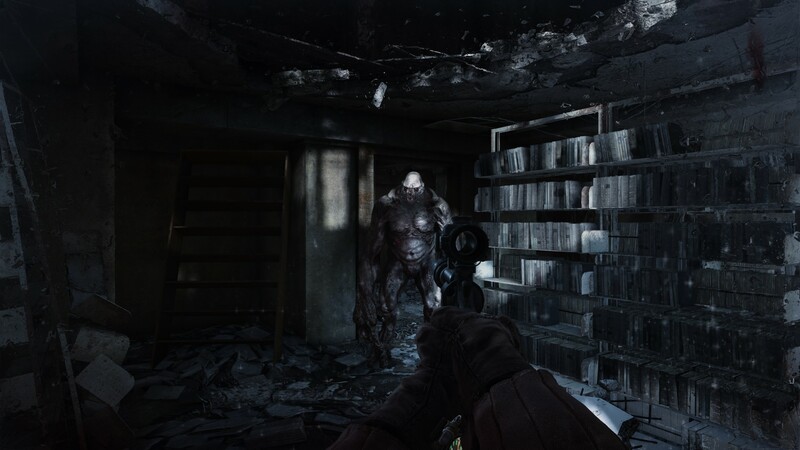 In fact, the only thing that remains more or less intact is the story, which involves the young protagonist Artyom embarking on a journey to warn the Metro’s capital Polis about an incursion of a powerful new enemy known as the Dark Ones. Metro’s story is not particularly original, but it is for the most part a well-written affair, melancholy enough to lend the premise some weight without being utterly dismal. I also like the sense of camaraderie you often get between your various companions. Whether you’re accompanying a known criminal across the surface, or embarking on a fact-finding expedition with other rangers, there’s no silly forced conflict for the sake of adding grit or drama. Metro acknowledges the danger of its own world, and most of its characters are smart enough to put such squabbles aside when there’s work to be done. Speaking of Metro’s world, I think my favourite aspect of Redux is the colour it adds to Metro’s apocalypse. The original 2033, while technically impressive in many ways, was quite a drab game. One might reasonably argue that it’s about the apocalypse, and hence you can’t expect sunshine and rainbows, which is entirely valid. 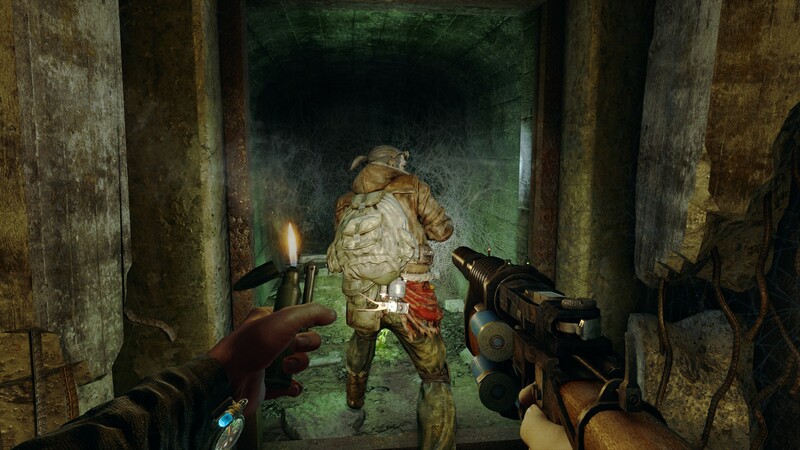 But Metro 2033 was drab in the wrong way, with a smudgy palette of browns and greys and khaki greens that muted the game’s distinctive underlying personality. Last Light fixes this brilliantly, and you can see it in the moments when you arise from the Moscow underground into the Russian winter. There’s still not much colour variation on show, but there is greater contrast. The whites and crystalline blues of snowbound Moscow are now brighter and more vivid, while character models and Metro stations are generally more varied. There’s also greater detail in environments. One of the best parts of Last Light comes in the final third, in which the player must trek across the surface during a pummelling thunderstorm. 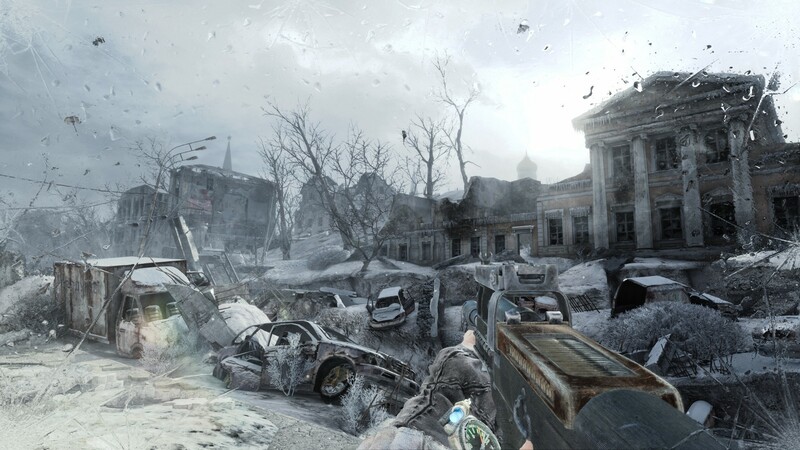 Metro Redux adds a similar storm to a mid-game surface foray, in which you battle in and around an apartment building filled with enemies as the wind whips up snow into your gas mask’s faceplate and destabilises your aim. 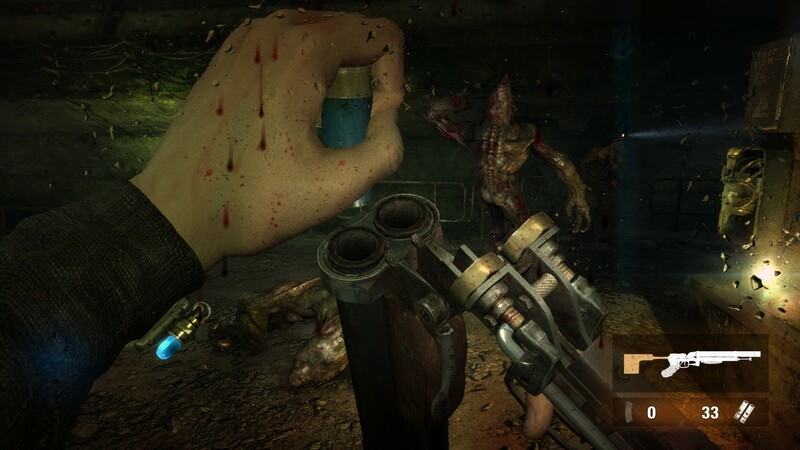 Speaking of the gas mask, Redux also adds Last Light’s most important feature – the ability to wipe your face. If you shoot an enemy at close range, blood will spatter onto the faceplate of your mask. Tap the G key, however, and Artyom will reach up and wipe it off. It’s a wonderful aid to immersion, essentially letting players touch the screen from the inside, and it’s such a pleasure to see it implemented in 2033. Perhaps the most impressive aspect of the Redux, however, is how it alters the level structure to improve the game’s flow and level of difficulty. 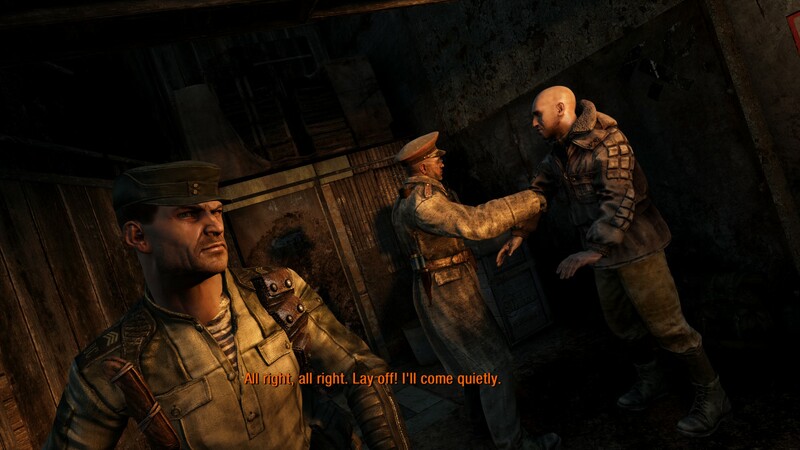 Metro 2033 was quite a fragmented game, with a lot of very short levels. The Redux stitches many of these smaller levels together. Your trek with Khan through some of the game’s strangest and most mysterious tunnels is now one long level, for example. What’s fascinating about this is that I didn’t really notice this happening until toward the end of the game. There were times when I could sense something was different beyond the game simply looking nicer. But I could never put my finger on precisely what it was. And I think this epitomises Metro Redux as a whole. There are plenty of changes, some of which are obvious, and some of which are not, but it still feels like the same game overall. It’s worth noting that the Redux doesn’t fix everything. It introduces the improved stealth mechanics from Last Light, but stealth still doesn’t really work because the levels simply don’t facilitate it. Also, the battle with the radioactive green blobs in D6 is still rubbish. It’s just slightly less rubbish because it’s no longer horribly difficult. 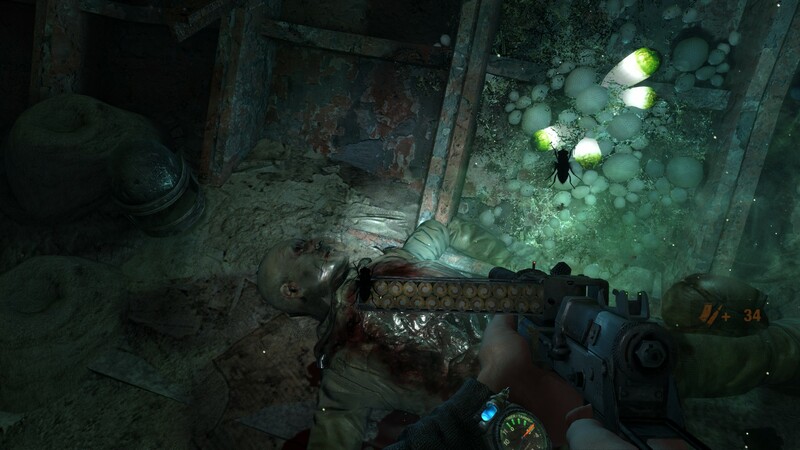 Nonetheless, the Redux is a brilliant overhaul, and the changes that it makes really helps to emphasise everything that was great about Metro 2033 the first time around. The constant sense of claustrophobia, whether you’re walking along underground rail-tracks as the ancient pipework shrieks around you, or wandering the cracked streets of Moscow separated from the world by your gas mask. The brilliant set-pieces like crossing a notoriously dangerous bridge with Bourbon the smuggler, or exploring Moscow’s central library as you’re hunted by terrifying mutants who attack the moment your back is turned. Metro has so many standout moments, and the Redux does such a great job of smoothing over the rough patches and letting the good bits shine. This isn’t quite the article I was planning to write. I was intent on waxing lyrical more about why Metro is such a great FPS. But to be honest, you probably know all that already, and I think it’s equally important to emphasise that the Redux is an even better FPS, and by a much greater margin than I had initially believed. If, like me, you decided to skip the Redux when it launched, I’d definitely recommend giving it a shot before Exodus arrives in February.